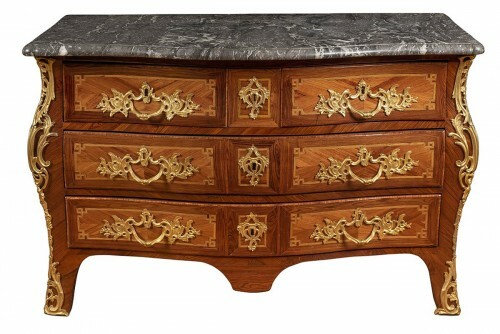 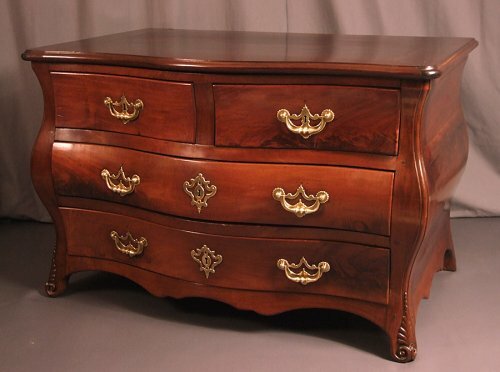 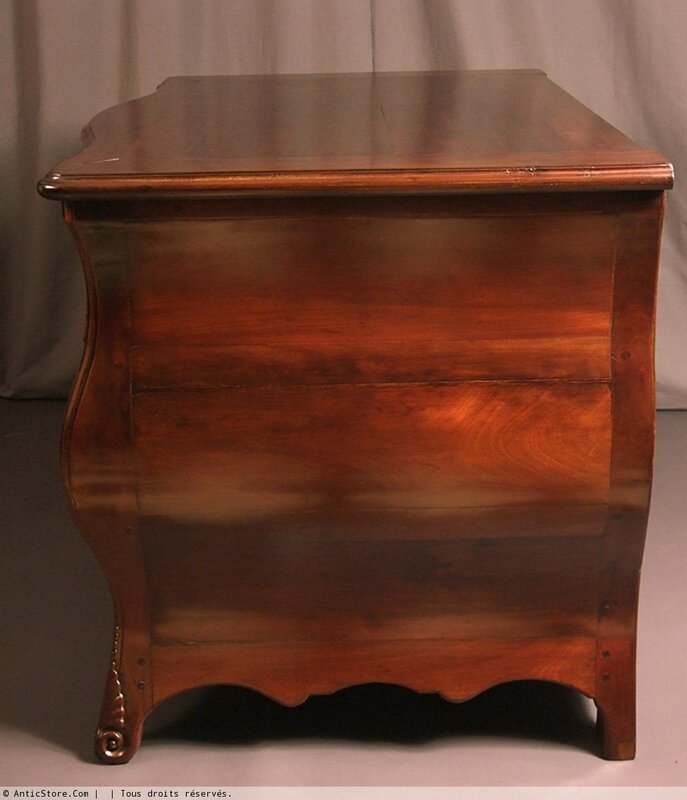 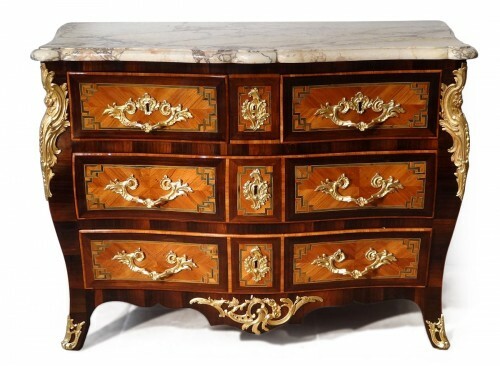 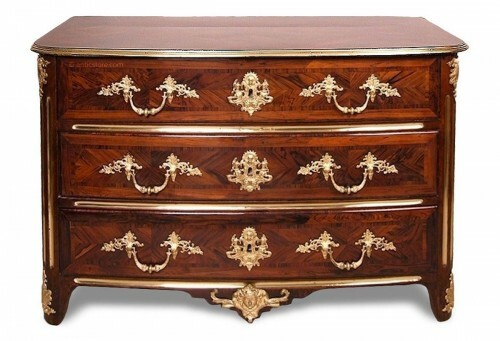 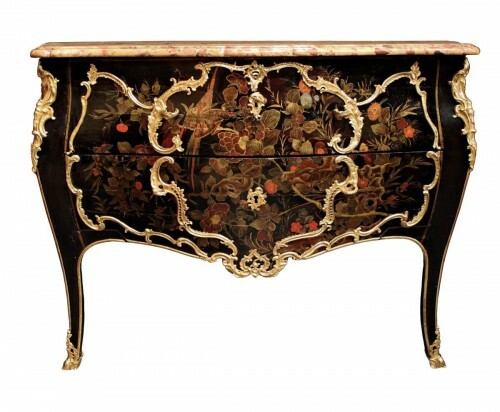 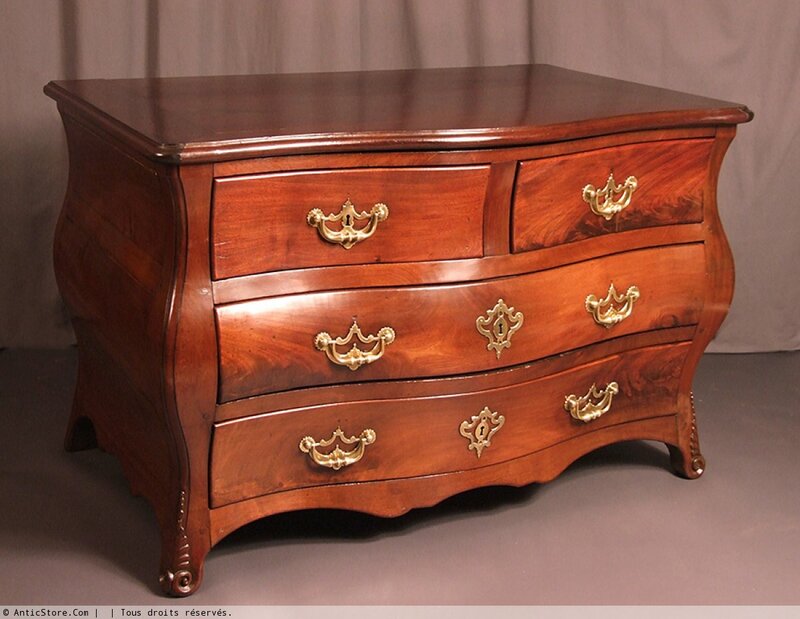 This sumptuous Commode curved front and sides, is truly for its size a model outsized. 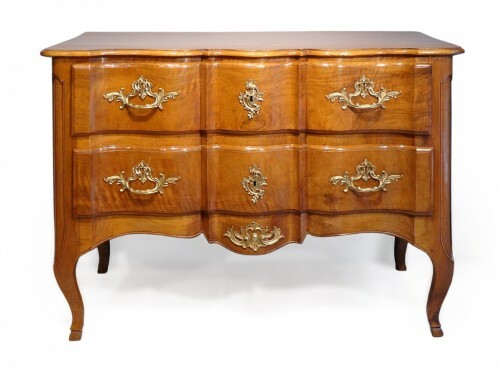 We have here a work order for a large malouinière such that it was built in the eighteenth century by the great families of owners of Saint-Malo, mansions that often indeed took the appearance of real castles . 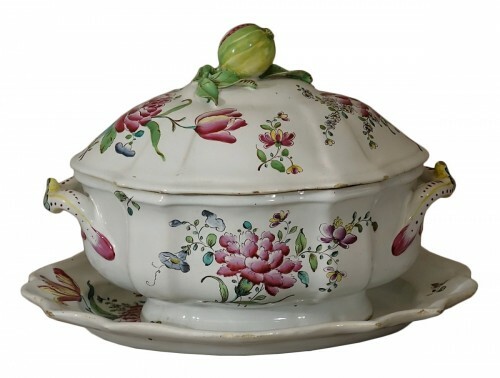 Intended for a piece of pageantry, this convenient give the fullness of his character and nobility in a room with large volumes, where a classic dresser would be dull. 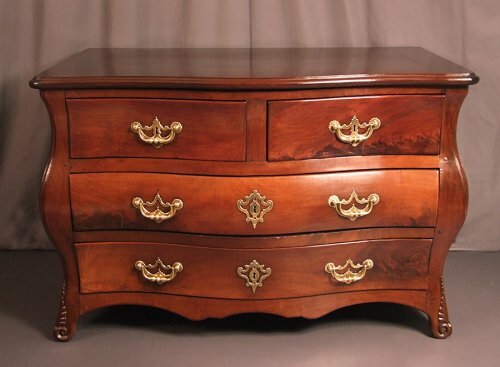 Front, top and sides of solid mahogany furniture, foncures drawers stave oak cupboards drawers solid mahogany top, intermediate floors chestnut back almost exclusively in solid mahogany. 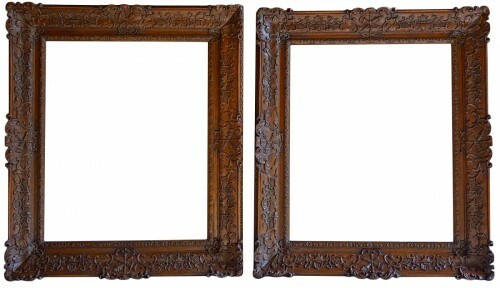 Four beautiful iron locks (with key) and cast brass fittings, all original and in perfect condition. 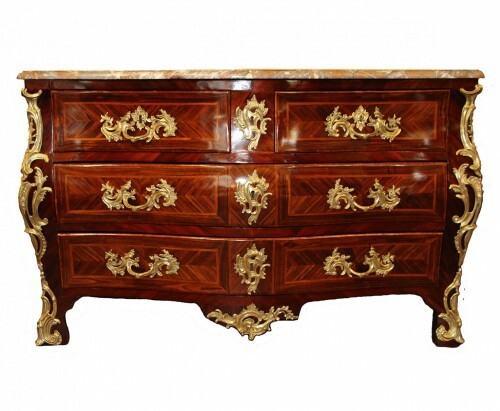 Very good original furniture, beautiful nail-polished patina. Work of Saint-Malo intra-muros - command for malouinière - the eighteenth century.